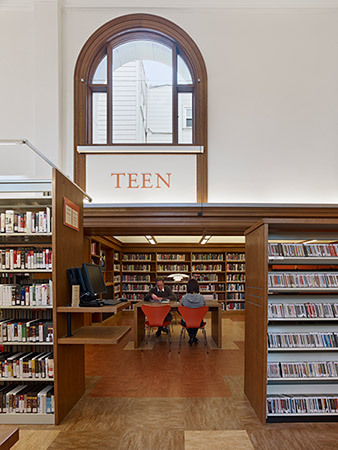 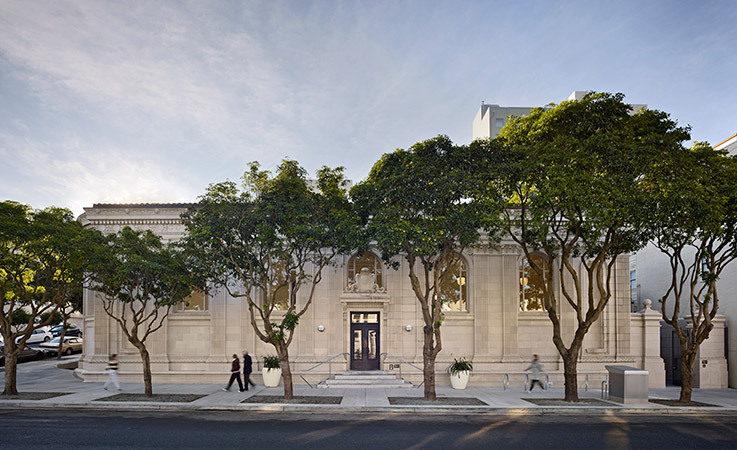 San Francisco’s Golden Gate Valley Branch Library was an aging Carnegie Library designed by Ernest Coxhead and built in 1918. 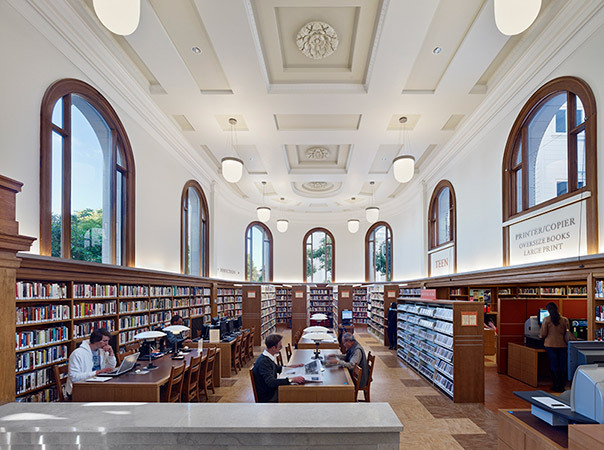 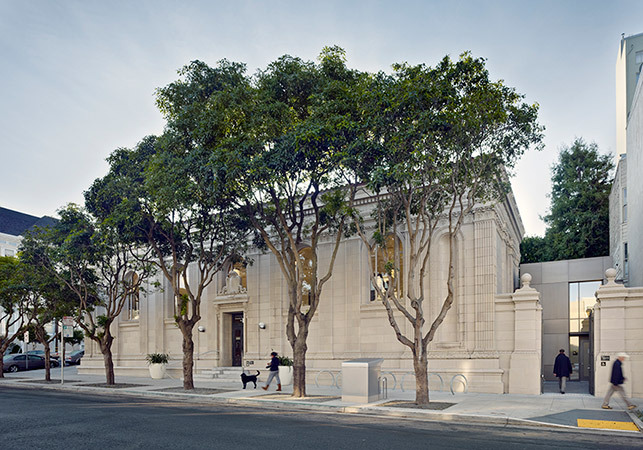 We were hired by the city’s Branch Library Improvement Program (BLIP) to complete a full renovation of the library including seismic, life safety, MEP and accessibility upgrades, converting the historic jewel into a modern, technology-rich, LEED Gold public resource. 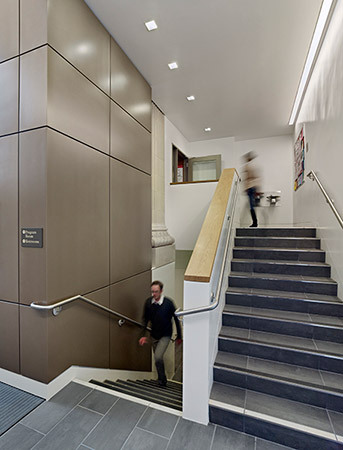 The design solution as developed includes a small, contemporary addition incorporating a stair and new elevator to provide access for all. 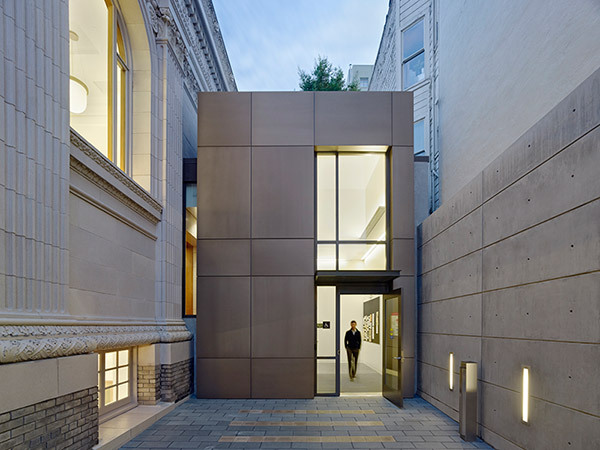 The new addition, sheathed in metal panels similar in color and warmth to the library’s original terra cotta, is situated in a small side courtyard and designed to complement the historic building while remaining visually distinct.